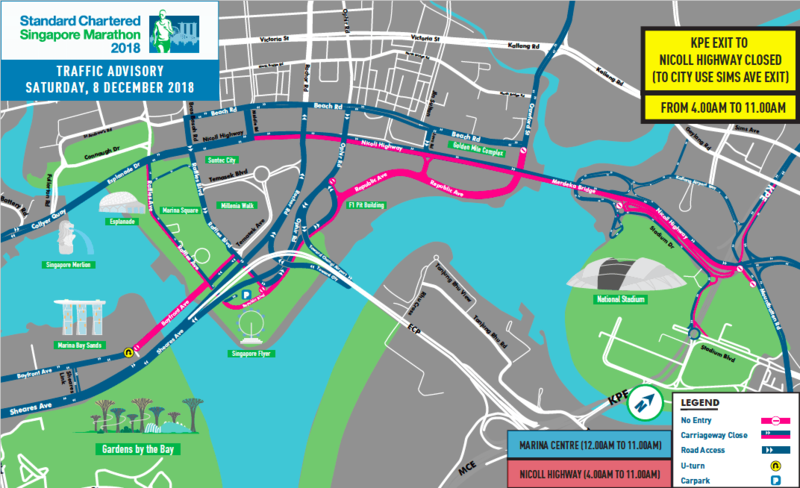 Overview of Road Access for the Standard Chartered Singapore Marathon 2018 | JustRunLah! Southeast Asia’s marquee annual road race, the Standard Chartered Singapore Marathon (SCSM) returns for the 17th edition on 8th & 9th December 2018. On Saturday, 8th December, affected roads will be closed from 12:01am – 11.00am for the National Steps Challenge (NSC) 5km and 10km race. On Sunday, 9th December, affected roads will close from 12.01am –2.00pm. 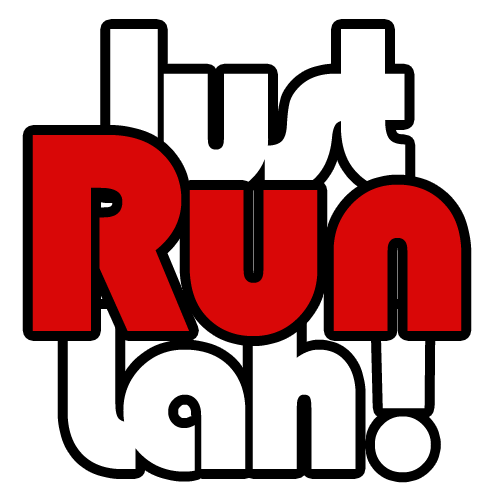 Race planning has been done in close consultation with relevant authorities, resulting in a route which provides a great experience for runners and minimises disruption for road users and those who live and work in the area. Routes to emergency/essential services such as hospitals shall remain accessible throughout the duration of the event. To facilitate better traffic flow and access, organisers will progressively re-open roads once all participants have cleared each segment of the route. Traffic wardens will be deployed at all affected roads to help re-direct traffic and assist the public alternative routes to their destinations. Road closure information and re-directional signs will be put up along the roads from Monday, 26th November 2018. As train services will not be available during the early hours of the weekend, organisers have partnered with ShareTransport to provide shuttle bus services from 47 pick-up locations island-wide and take runners directly to the start point. Members of the public are strongly advised to plan their journeys ahead of time, and are encouraged to use public transport during the affected times on 8th and 9th December 2018. SCSM 2018 participants or members of the public with enquiries about the road closures may call the SCSM 2018 Road Closure hotline at 6701 1230. The hotline will be available from 9.00am to 6.00pm from 26thNovember to 7th December, and will be available 24 hours on 8th and 9th December. Members of the public may also wish to download Waze, a GPS navigation application, which will be updated to reflect road closures. Information on road closures for SCSM 2018 can be found on all SCSM social pages andwww.singaporemarathon.com. Participants can also visit OneMotoring.com for further advice on commuting during the marathon weekend.